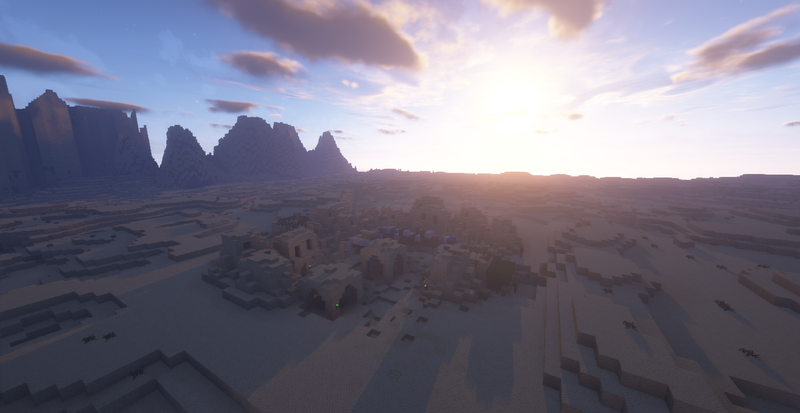 Server is gradually getting ready to be opened for more communities! Translations continue, and survivals are getting changed drastically! Utterly existing, check out the changes! New Group System! Land Claiming! Groups System in survival gamemodes was made! Players can now create and be in as many groups as they want, no limits! Group creation costs 2500 Emeralds. General: can claim, unclaim, invite and kick. Co-Leader: can promote/demote Generals + all General permissions. Groups can claim land, a newly created group has a limit of 10 chunk claims, it can be upgraded by +1 for 200 Emeralds, any member of the Group can upgrade, it is teamwork upgrade, the limit can be upgraded up to 55! (For a total cost of a whopping 9000 Emeralds). The last visit of claimed chunk time is tracked, if it's not visited for more than a month by anyone from the Group of a chunk, it will get automatically unclaimed. The same group can be used in both modes, Friendly Survival and Old-school Survival. Use /group to view the list of all commands. Brand-new Hoth and Tatooine dimension spawns! Both of them were built by xShadowboltx! Friendly Survival now has Gravity! If there is not enough supporting blocks (up to 7 blocks away), the blocks will collapse, this eliminates unrealistic skybases and similar builds! Gravity does not work on Endstone blocks and it does not work in The End and Racknez dimensions. Water now is now realistic! Water is now finite, water buckets do not create infinite water! This makes thirst much more of a matter. Water drains into the ground. 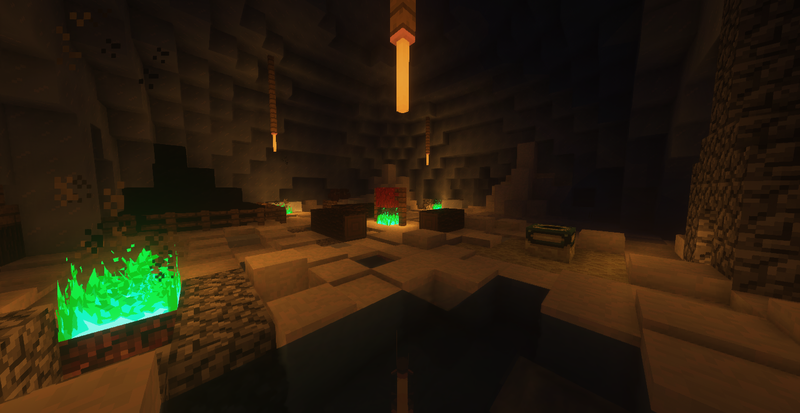 Water fills stuff under itself realistically, like caves. Realistic water mechanics are auto-disabled if the server becomes laggy so it doesn't lag stuff. Added new awesome custom Oak Trees! Added rotations to custom Spruce Trees. You can no longer use Auto-enchanter on Unbreakable tools. You can no longer get overpowered enchantments on Unbreakable tools. Sheep now regrow normal white wool after being coloured and sheared afterwards. Highly improved the performance of the code of swimming Fish, now they should despawn properly without leaving invisible Squids or unpickupable items. Resource pack now supports Minecraft 1.13! Custom resource packs are now being loaded before you get teleported to the gamemode! You will no longer be surrounded by zombies while the texture pack is being loaded. Furniture was added to the creative menu, now there are 120+ different furniture types! Some of them you can see in the screenshot! Creative World Programming Language Update! Added a function which allows easy lore translation & formatting. Languages GUI was rewritten for better performance. Languages which aren't updated actively were removed from the GUI. Knockout Experience system was changed. Experience required to level up (2-9) is now [4, 9, 15, 22, 30, 39, 49, 60] respectively. Maximum level is now harder to reach, so the game would be longer! Level progress is now displayed in the Experience Bar instead of the Action Bar. NPCs now have new positions, they are much closer to each other than before! Massive work on creating support@limework.net was done! E-mails like this are now widely used for different purposes! "Change to villager skin for bonus emeralds" hotbar item was moved to Player Menu. GameBox hotbar item was moved to Minigames Menu. No Gadget hotbar item was removed. Party Warp system was improved, now you can use /party warp to warp your party members from a game to the Main Lobby and to a Creative World plot you are currently in. /clear is now usable in creative mode in Creative World. Melon blocks can now be claimed each match in Snowball. GL-1 A lot of messages are inconsistent. GL-129 Falling block abilities do not work on slabs in Ability PvP. GL-159 Some of Ability PvP abilities' damage is really high. GL-160 Some commands of Creative World programming language do not work. GL-161 Cortex map in Spleent does not work. GL-162 Palm trees are glitchy in Friendly Survival. 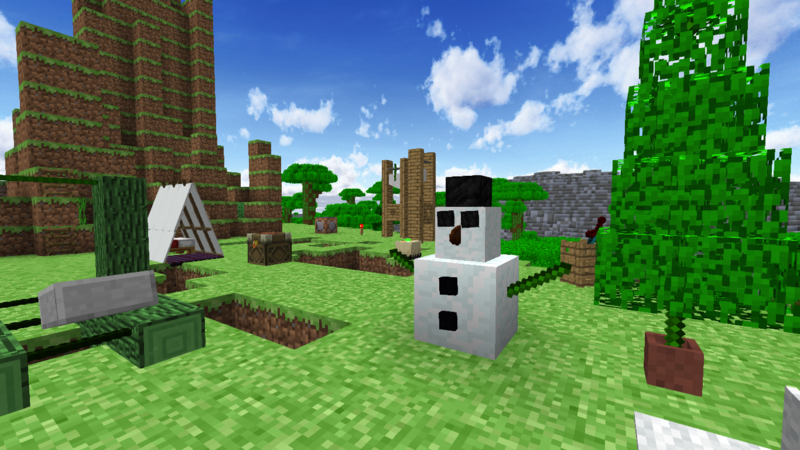 GL-163 Custom resource packs don't work in Old-school Survival and Friendly Survival. GL-164 Multiple places still use our old subdomain gmn.us.to instead of limework.net. GL-165 Animals can breed in OSS. GL-166 Sheep can eat grass in OSS. GL-167 Sheep can regrow wool in OSS. GL-168 Apples can be dropped from leaves decay in OSS. GL-169 You can stack cooked porkchop or cooked fish using a furnace in OSS. GL-170 You can turn grass into a grass path with a shovel in OSS. GL-171 Sheep drop 1-3 wool instead of 2-4 on shear in OSS. GL-172 Sheep only drop white wool on death in OSS. GL-173 Crafting bread or similar items can result in items being stacked in OSS. GL-174 Both raw fish and cooked fish do not heal hearts in OSS. GL-175 Carrot on a stick recipe exists in OSS. GL-176 After dying in Snowball and Elemental Archers in Elimination modes you get teleported to the Main Lobby. GL-177 Leaves of custom trees do not decay in Friendly Survival. GL-178 Feeding some animals still allows despawning of them in Friendly Survival. GL-179 Animals spawn inside each other in Friendly Survival. GL-180 Custom spruce trees use dark oak wood instead of spruce wood in Friendly Survival.